The word activism may bring visions of a mob holding protest signs and chanting messages to onlookers. 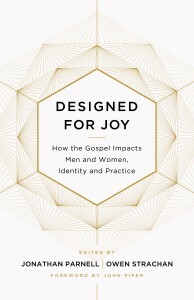 Though there may be a place for that, Daniel Darling, author of Activist Faith: From Him and For Him (Navpress, July 15), has a desire for Christians to be much more hands-on. Darling, 35 of the greater Chicago area, is the Senior Pastor of Gages Lake Bible Church, an author, columnist, blogger, aficionado of Presidential history and biographies, husband and father of four. After a few years of exploring, Darling, along with his co-authors and friends (Dan King and Dillion Burroughs) took their desire for missional living and serving others from heart to mind to paper in hopes others might be challenged and inspired to put their faith into action too. Darling offers more insight into Activist Faith in this Q&A. Dillon and Dan and I had the idea a couple of years ago. I’ve been a follower of politics most of my life and as a pastor, I’ve seen the impact of God’s people, motivated by the gospel, to meet human needs in their community. What strikes me is that after the elections are over and, regardless of whether your guy has won, there are needs you as a Christian can meet in your community. And if you look at almost every major social issue, there are followers of Jesus actively meeting those needs, on the ground, in a quiet and productive way. So the purpose of this book is really to help people leverage the concern they have for particular issues and connect them to ways they can help in nonpolitical ways in their local communities. So, for instance, if you’re hacked off about abortion–yes vote accordingly and speak out–but in the meantime, roll up your sleeves, open your wallet and support a local crisis pregnancy center. You can actually save real babies and help real women in your town. Q: You touch on this in the previous questions, but what are some ways we can have an activist faith? I believe the gospel empowers people to love people and meet real human needs. The pendulum often swings too broadly to one side or the other. Either we’re cloistered in our holy huddles and are only doing church stuff or we’re abandoning the proclamation of the gospel and only doing service. What we miss is that we can and should do both. Our first responsibility is to proclaim Christ and build the body of Christ–the gospel is the catalyst that changes hearts and lives and transforms sinners into saints. But one of the purposes of the church is to join God in His kingdom work, helping bring a little of heaven to earth. Every Christian is called to live on mission for God, to make disciples of all nations and to live generously to meet human needs where he is he able. And the beautiful thing about what we talk about in Activist Faith is that while it involves some level of sacrifice, not everyone has to be “radical” in the sense that he abandons the ordinary grace of living quietly and faithfully where God has called him. There are ways to serve and give back that don’t involve being a famous “world-changer” that makes headlines. Q: Why do you believe this topic is important? I think Activist Faith is important for two reasons. First, to really motivate Christians to do something about these controversial issues in ways that don’t involve politics. I’m not saying we should abandon the public square–we should advance causes that we feel will help human flourishing because we’re to seek the welfare of our cities. And yet, there is a limit to political activism. In between elections, when nobody is looking, is when the best work is done on some of these most divisive issues. Christians are really good at slamming the President on Facebook–but living it out in our local context is much more effective and Christlike. Secondly, I wanted to shine a light on the good work being done by Christians on some of the most difficult issues of the day. I’m amazed, again, at the power of God’s people, motivated out of love of Christ and love for neighbor, who are willing to throw themselves into some of the most vexing issues. We want to invite Christians to get involved in the work God has already inaugurated. The book is very, very heavy on specific organizations and opportunities available to ordinary people. Q: Do you use biblical figures as examples for “activist faith”? Well there are many. I think of Abraham, who pleaded with God to spare the wicked city of Sodom. He didn’t ask God to reign down judgment, but for God to have mercy. In this he is a picture of Christ’s intercession for us, standing between us and God’s judgment. Then there is the example of Christ himself who spent much of his time among the undesirables. He fed hungry crowds, he healed lepers, lame, and blind. And then there is the early church, who sold their possessions and gave money to the poor. James reminds us that it’s not enough to hear the word–to soak it in and get fat on bible knowledge. We’re to be doers of the word. We’re to be active. Not in a “I’m going to change the world because I’m so great” kind of way, not in a narcissistic way that denies God’s sovereignty and power. But in a humble, grateful way that joins God in the work He has already started. Q: I understand that you researched Crisis Pregnancy Centers for your book. What were some of the most significant findings? I have always believed in the ministry of crisis centers and knowing the good people who serve and volunteer at the one in our community (including some of our church members), I’ve known how they apply the gospel to very difficult situations. But in writing this book, I looked at the research at how effective CPC’s are, mainly a report done by the Family Research Council. What I discovered was amazing. As of 2012, it is estimated that 90,000 babies have been saved by the over 23,000 crisis centers nationwide. Most of these run on a shoe-string budget–29 out of 30 are volunteers. Sixty percent of woman who view an ultra-sound through one of these centers choose to keep life and in a survey of post-abortive women, it was found that 7 out of 10 would have kept their baby had they known of an alternative. These centers usually see around 2 million women every year. But imagine with me, for a moment, if all the money we pour into politics, political candidates, political action committees–imagine if a fraction of that was redirected at establishing CPS’s in urban areas. We might drop the abortion rate without passing a single law (though I think working for new laws is important). I’ve heard of stories of churches who dropped their town’s abortion rate in half or more simply with the presence of a Crisis Pregnancy Center. Q: For those not familiar with pregnancy centers, what are some of the services they provide and how does this help women? These are centers typically filled with caring, Christian volunteers who simply offer alternatives to abortion. But much more than this, they come alongside confused, often abandoned pregnant young girls and offer counseling services, parenting help once their baby is born, and often offer physical things like diapers, formula, clothing. They often point new mothers to older, established moms who encourage them in their parenting. What’s exciting about CPC’s–at least the ones I’ve had the privilege of engaging–is how many young ladies have come to a saving knowledge of Jesus as a result of the compassion they found. It’s really some of the most effective missional ministry you will ever find. Q: Most often when I’ve had the opportunity to serve, I’m convinced I leave more affected than the people I’ve cared for. Do see that happening too? Oh, it’s life changing. Not in a “look at me, I’m a great person helping at a soup kitchen” type of way, but in a way that connects God’s people with their mission on the earth. Ephesians 2:10 reminds us that the gospel restores us to the original plan of God-to do His good works. Q: What do you hope people will take away from your Activist Faith? I hope people will come away encouraged to do that one thing God has called them to do. You and me cannot save the world. That’s God’s job. But we can alleviate suffering one person at a time. Activist Faith is available for pre-order on Amazon.com. For more information about ways to serve the broader community and learn more about the book, visit their website at http://activistfaith.org/.